Rabbit Valley #3 is a trail in the Rabbit Valley area of the McInnis Canyon National Conservation Area near the Utah state line west of Grand Junction, Colorado. The trail is also known as Tina's Hill. A loop can be formed by combining the #3 Trail with one of the sections of the #4 Trail. The most common, and maybe preferred, direction of travel on the #3 Trail is to follow it downhill. 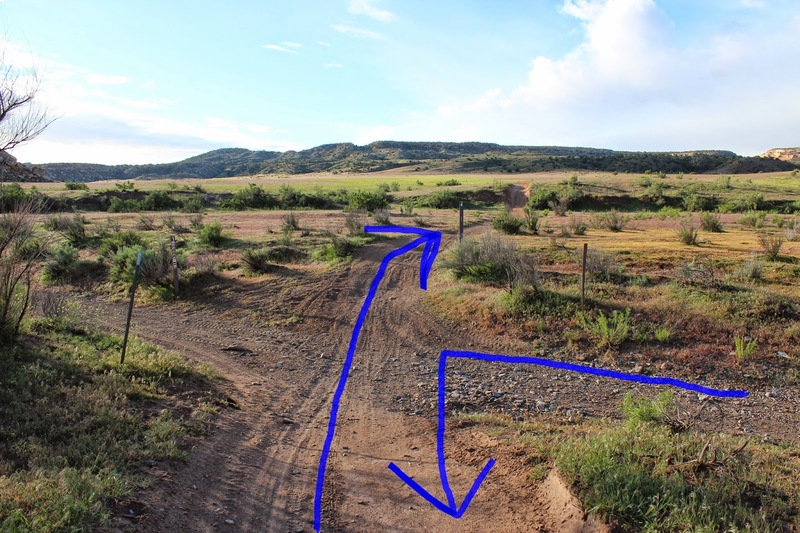 The closest parking area to the #3 Trail is at the Kids OHV Training Area. 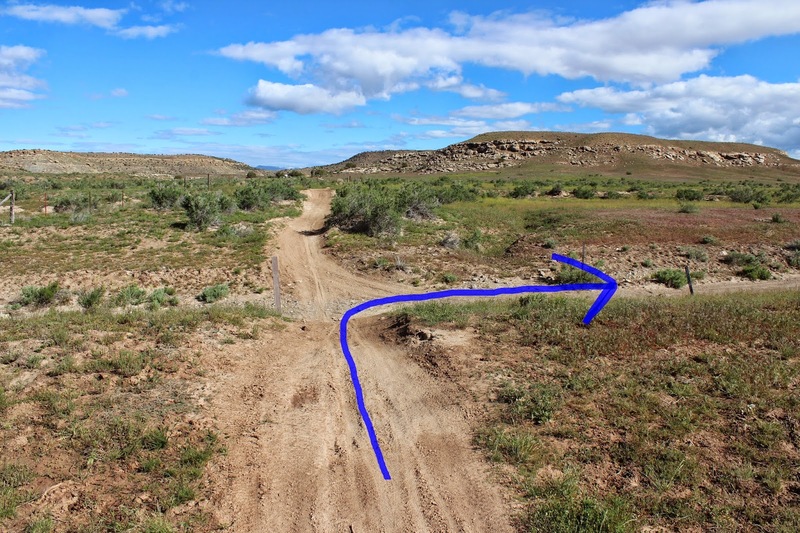 Most mountain and dirt bikers either approach the trail from their campsite, the Rabbit Valley Staging Area near the interstate, or the Mountain Bike Staging Area just east of the Rabbit Valley Road. 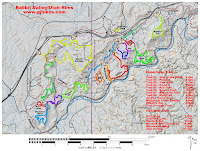 For this post we are beginning by hiking out along the western branch of the #4 Trail at the Kids OHV Training Area. Just behind the Kids OHV Area the #4 Trail crosses Trail #1, the Stay in the Wash Trail. This is where the loop begins for this post. 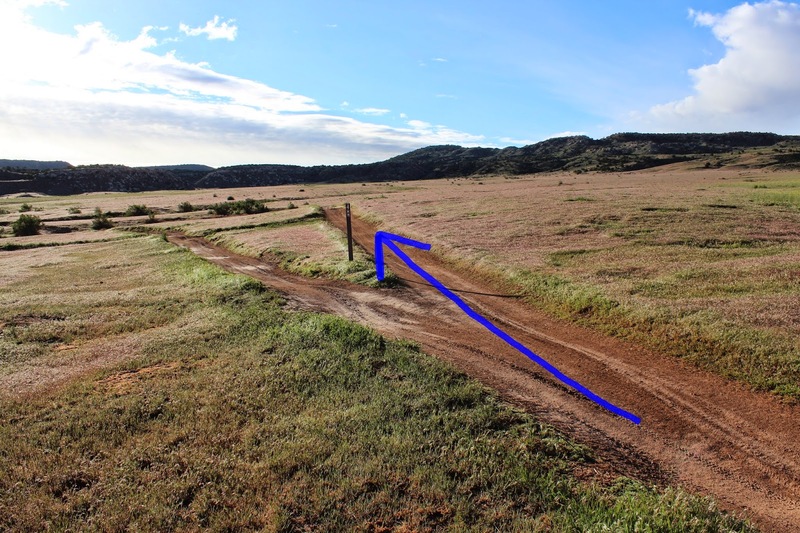 The #4 Trail cuts across an expansive area of grass where it begins its own loop. Most mountain and dirt bikers take the left loop which takes a more gradual and indirect route to the top of the ridge. For this hike we are taking the right fork, or more direct route. The #4 Trail climbs the hill up an old jeep road. While the #4 Trail is not open to jeeps it is open to ATV's. After climbing the first set of small hills the trail travels around the yet higher hillside where it climbs a somewhat steeper section to a ridge. It is on this ridge where the #3 Trail branches off on the right. From here the single track trail works its way around the west side of the mountain with only minor changes in elevation. Near the trails southern most point, where it begins its loop back toward the trailhead, there is an older trail that breaks off toward the east. 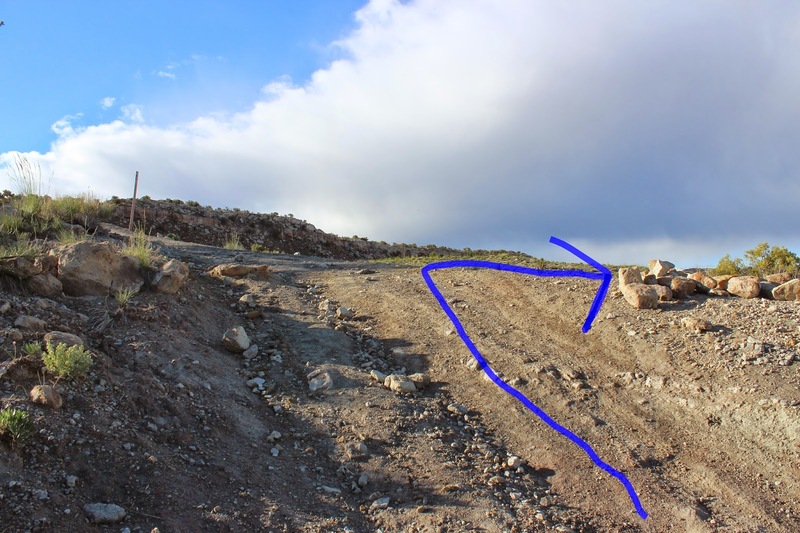 This is the old route the #3 Trail once followed that leads down to the #8 or Rim Trail. A short excursion along the trail for a hundred yards or so provides a glimpse of the Colorado River passing through Ruby Canyon. Back on the main trail, after a little more hiking toward the west, the descent begins. The downhill portion of the #3 Trail has several rock shelves that it passes over. When the trail reaches the valley floor it turns back into a ribbon of red dirt. The #3 Trail crosses Trail #1, the Stay in the Wash Trail, just before reaching its northern end. There are several options at this point to get out to the road. We chose to follow the wash to close the loop. The parking lot at the Kids OHV Area has ample room for both cars and trailers as well as a ramp for loading and unloading. There are several primitive campsites just to the east and to the west of the parking area. A vault toilet can be found nearby at the Mountain Bike Staging Area. 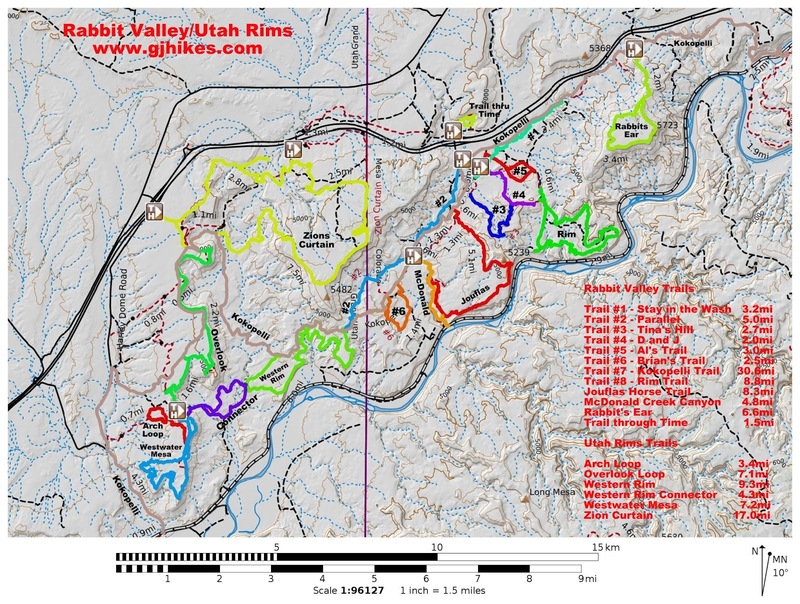 As for the #3 Trail it is one of the more popular trails in the Rabbit Valley trail system. If you would like to see it for yourself then all you have to do is 'Take a hike'.